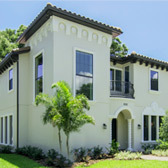 Homes by Artisan is a premier builder of custom luxury vintage-style modern homes that serves the Tampa Bay area’s most exclusive neighborhoods including Hyde Park, Soho, Bayshore Blvd., Westshore Blvd., Davis Islands, and Palma Ceia in South Tampa. 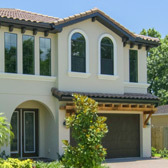 We are expanding across the bridge to highly coveted neighborhoods in St. Petersburg, Palm Harbor, Sarasota, and along the coastline of the Gulf of Mexico. Our focus is designing and crafting luxury homes that enhance your lifestyle, built to the highest standards of quality and artistry. In fact, Homes by Artisan is where old world craftsmanship meets modern elements and technologies, resulting in homes that can be treasured for the next generation and beyond. If you can imagine it, we can build it. 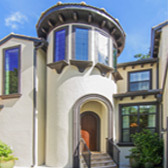 Whether it’s a sprawling beachfront retreat, spacious, vintage-style bungalow or magnificent Mediterranean home, Homes by Artisan can bring your home build or home remodeling vision to life. Tell us what’s on your mind. Just click here to begin the conversation!